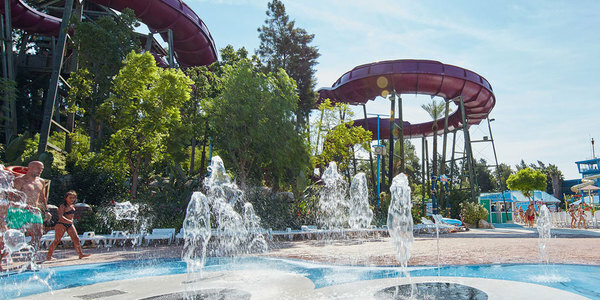 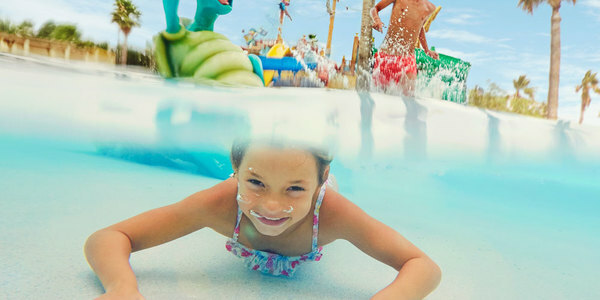 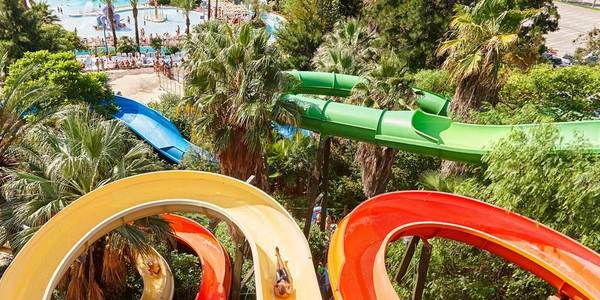 More than 50,000 m2 of fun is waiting for you in PortAventura Caribe Aquatic Park, the PortAventura World water park where you can cool off and glide down the many slides and pools in a world where water is the main attraction. 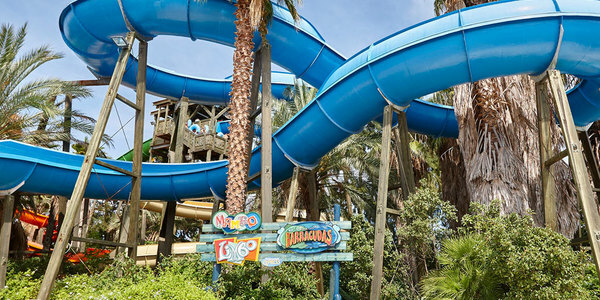 In PortAventura Caribe Aquatic Park, the legend of this area of ​​the Caribbean is recreated in a pool featuring the most challenging waves. 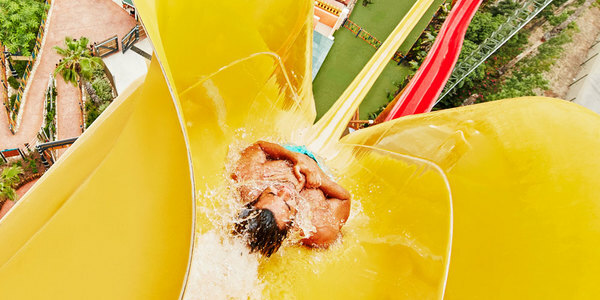 Do you dare to surf them? 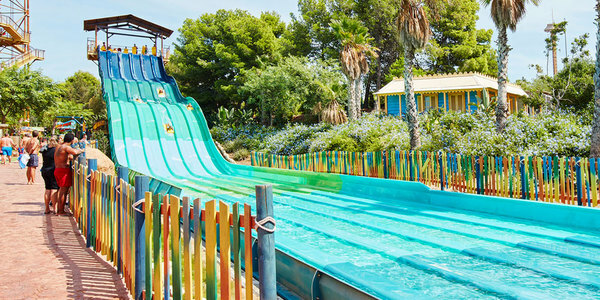 Test your skills by navigating the turbulent waters of El Torrente in PortAventura Caribe Aquatic Park, PortAventura. 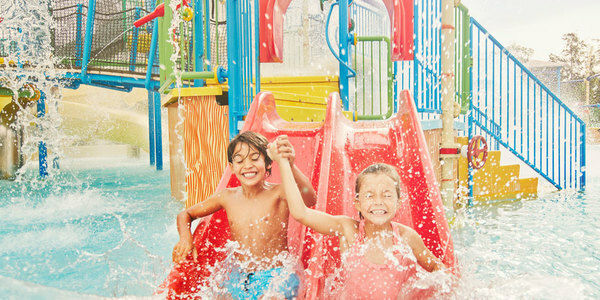 Junior Body Slides allows the little ones to let their imagination fly and have the most fun ever in a great aquatic adventure. 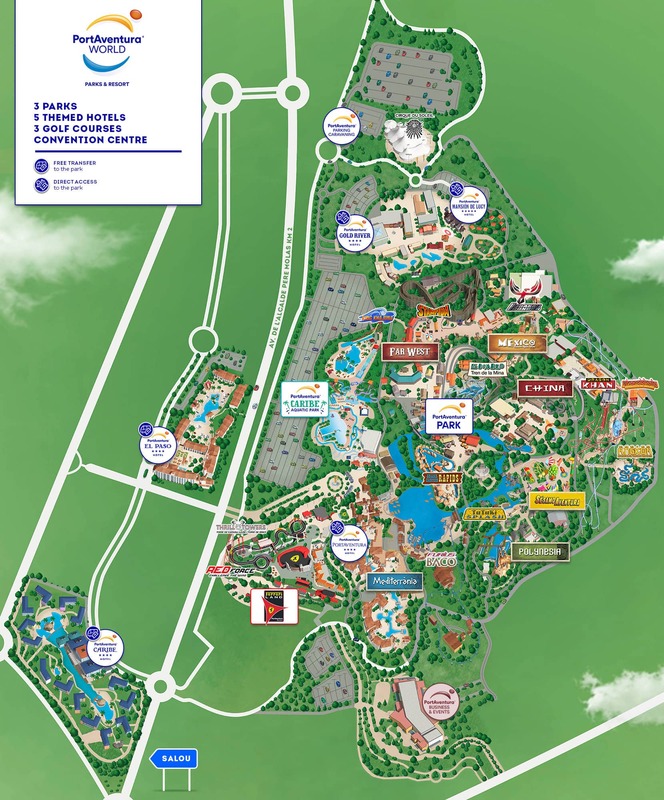 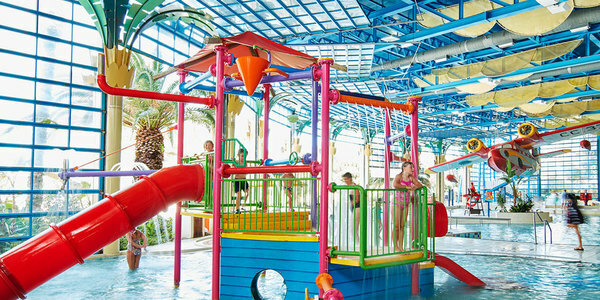 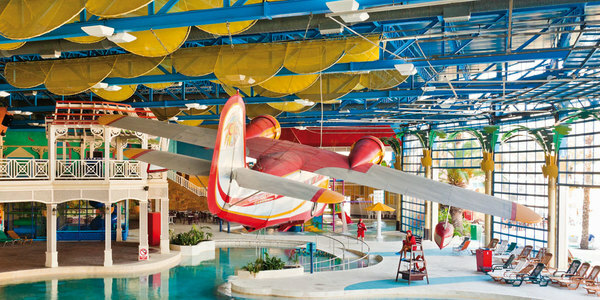 At PortAventura Mediterrània you will find rides for both children and adults alike. 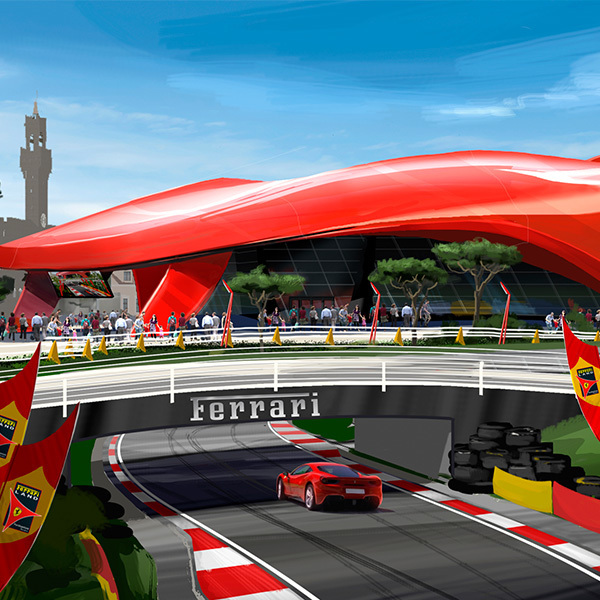 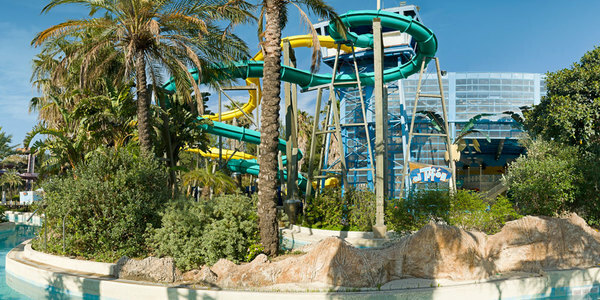 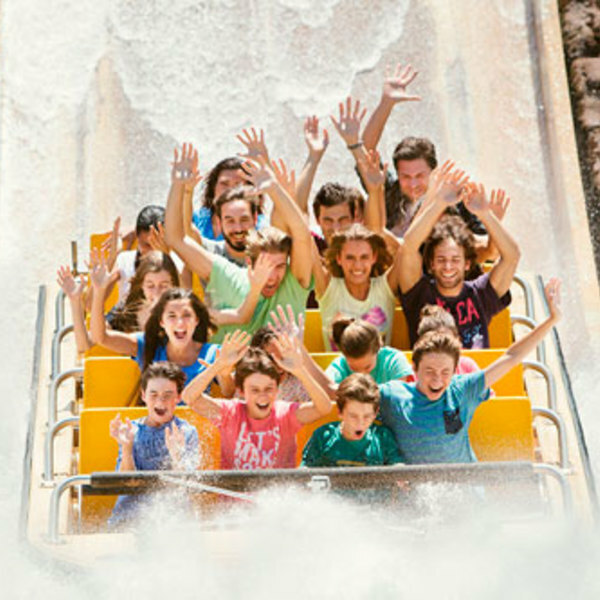 Experience speed with Furius Baco, or simply relish in the tranquillity of an authentic Mediterranean fishing village. 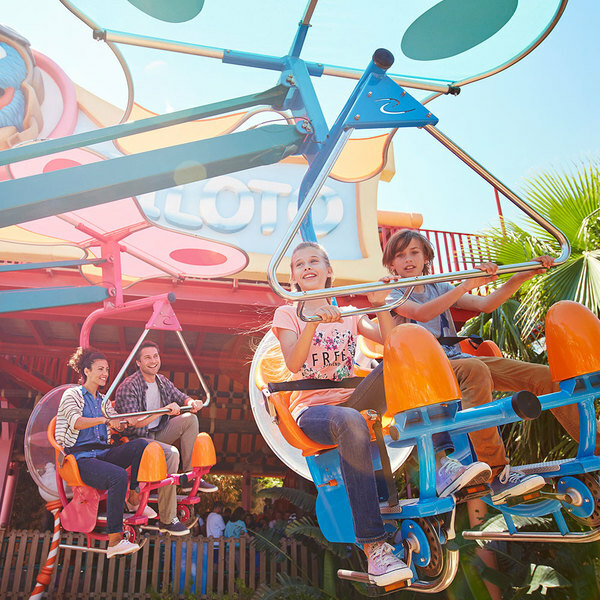 The rides in PortAventura's Polynesia are designed to entertain both young ones and adults alike. 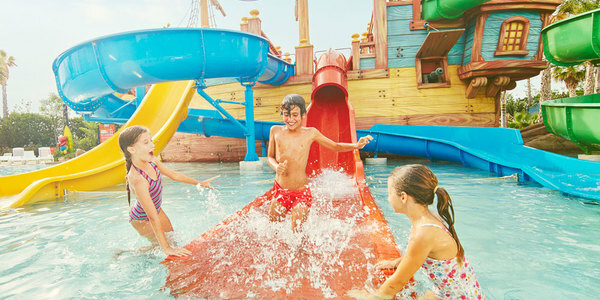 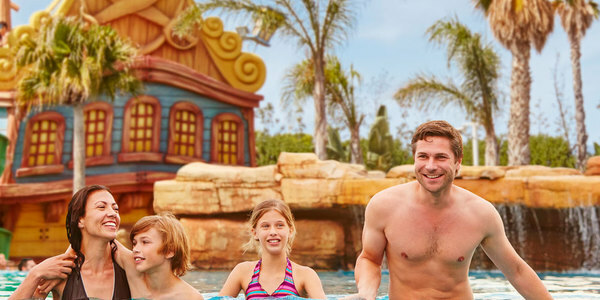 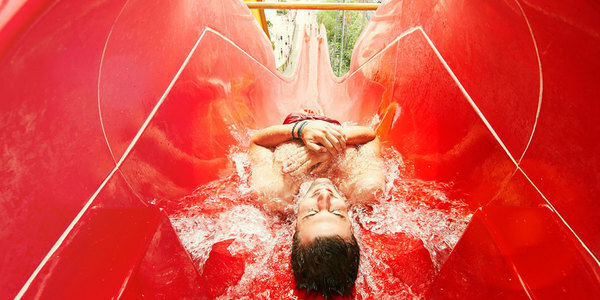 Tutuki Splash, Canoes or Kontiki... Are you brave enough to try them all? 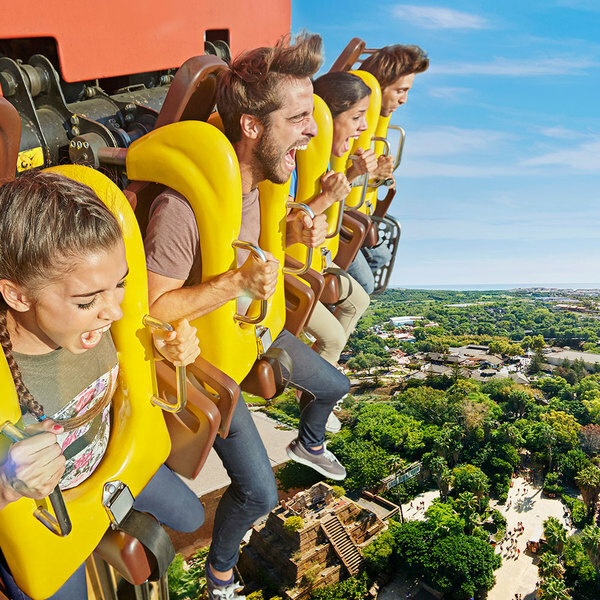 At PortAventura China, we offer you the chance to go on a journey through time to discover the legend of Dragon Khan, to experience the vertigo of Shambhala and for little ones to become emperors of the China playground. 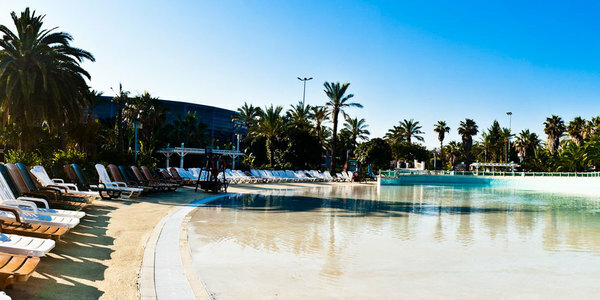 What more could you ask for? 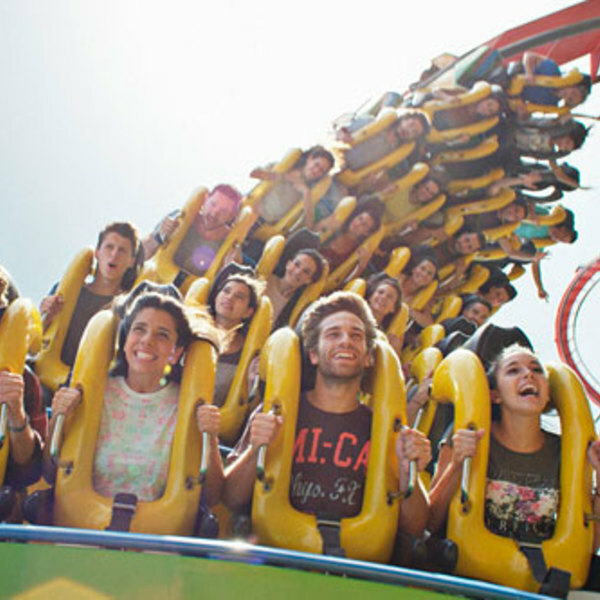 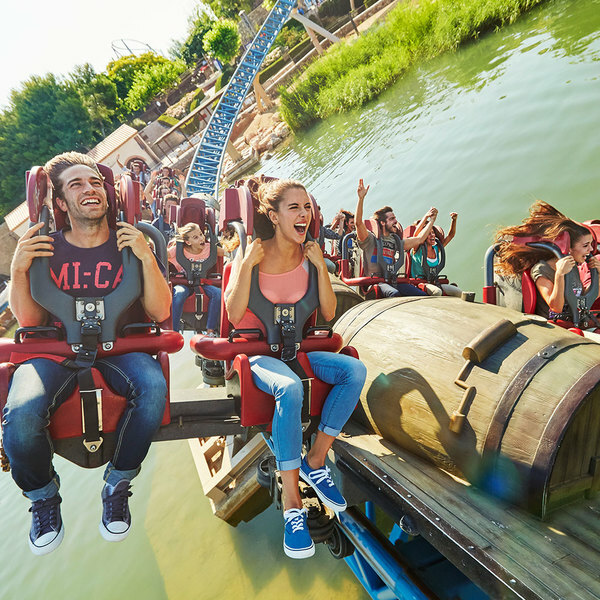 The rides in PortAventura World's México themed area are only for the most intrepid explorers. 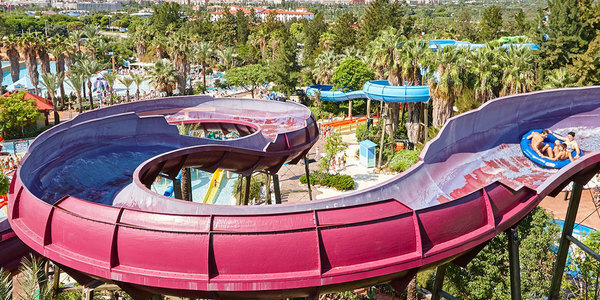 The rides in the Far West area of PortAventura will transport you to an authentic town in the American Far West. 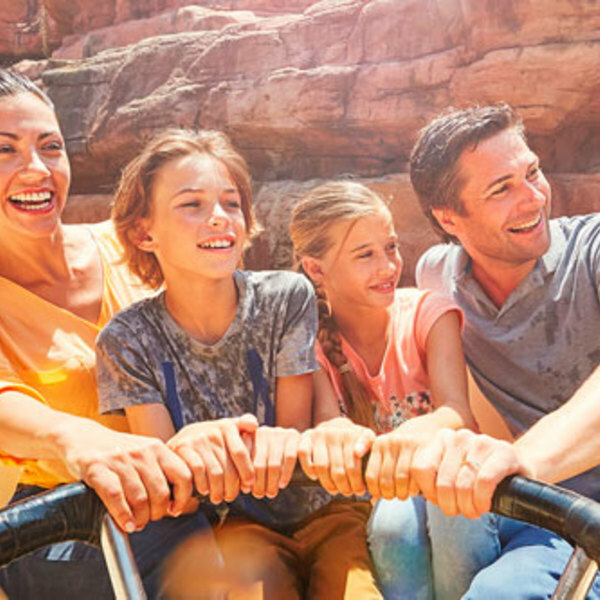 Feel the speed and enjoy the adrenaline alongside your family and friends at the attractions of PortAventura World’s new theme park.